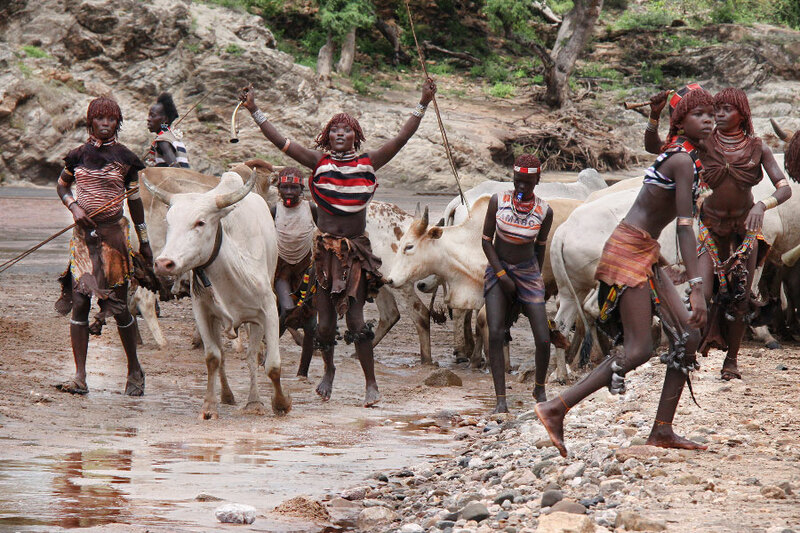 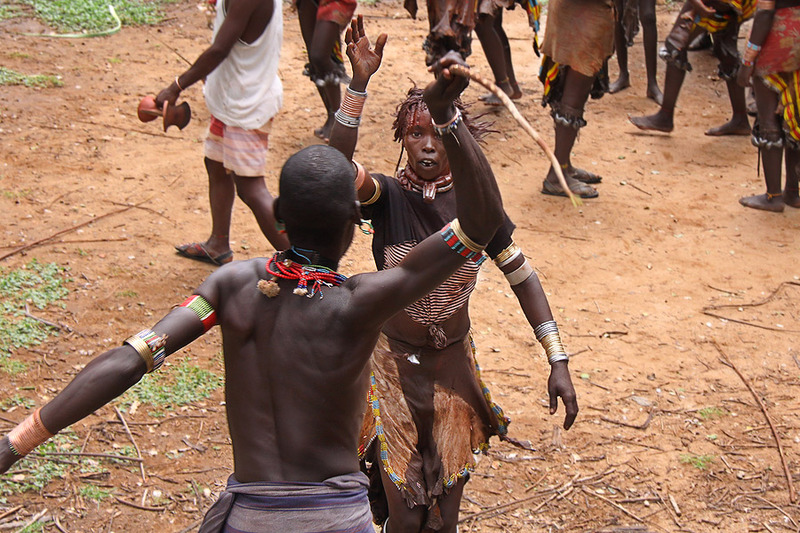 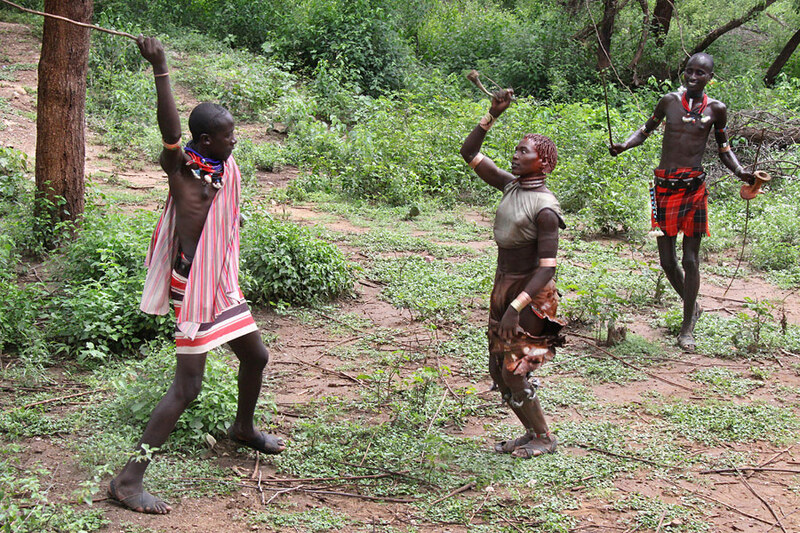 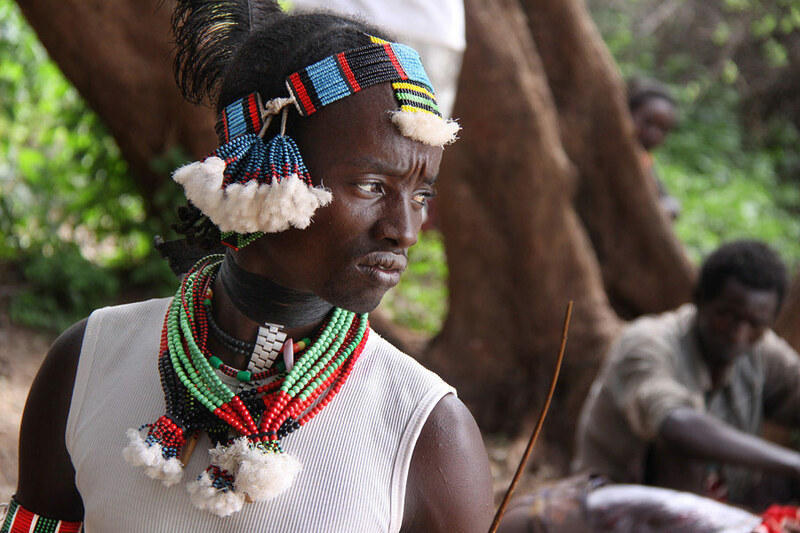 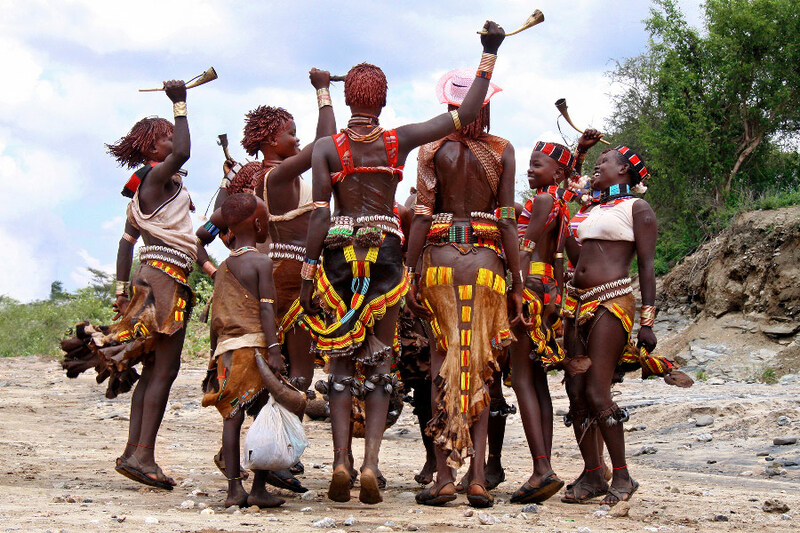 Tradition of the Hamer tribes, the bull jumping ceremony is a rite of passage in Ethiopia's Omo Valley. 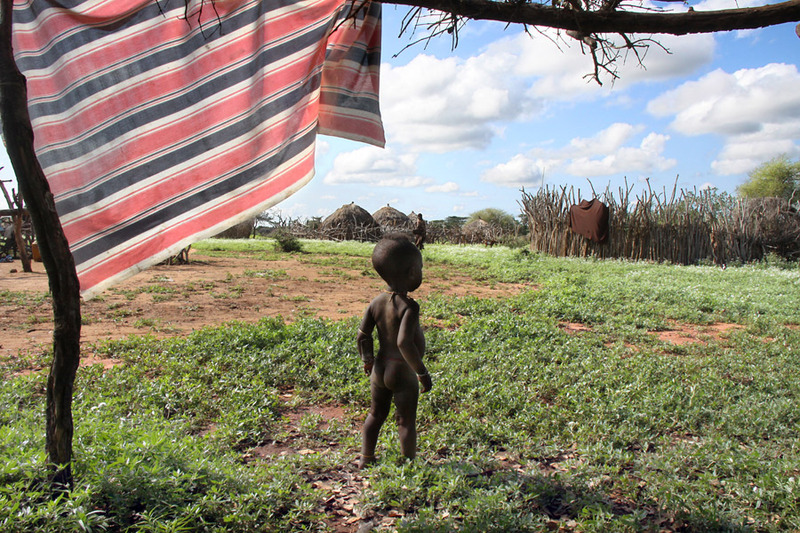 It represents a life-changing event for the young man who passes from boyhood into adulthood. 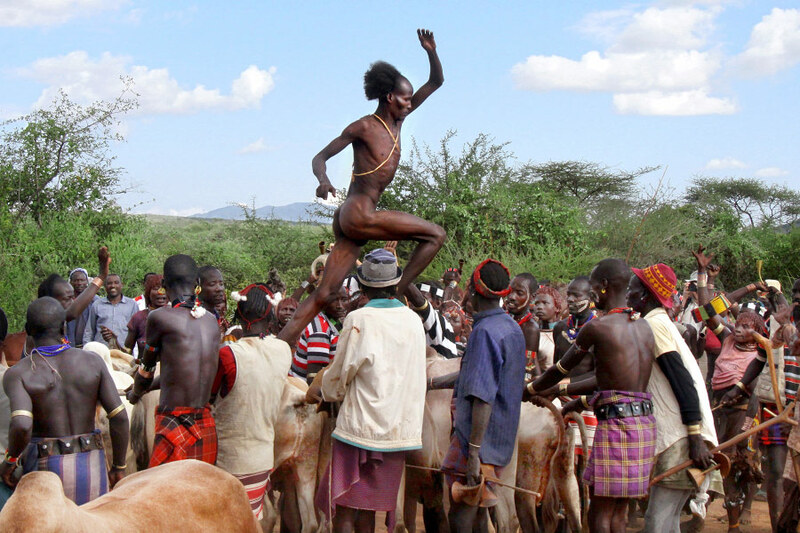 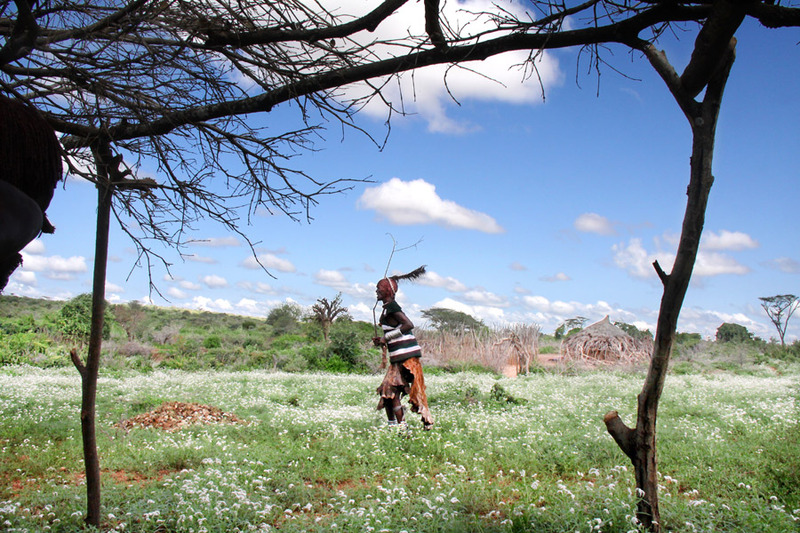 A Hamer man comes of age by leaping over a line of cattle. 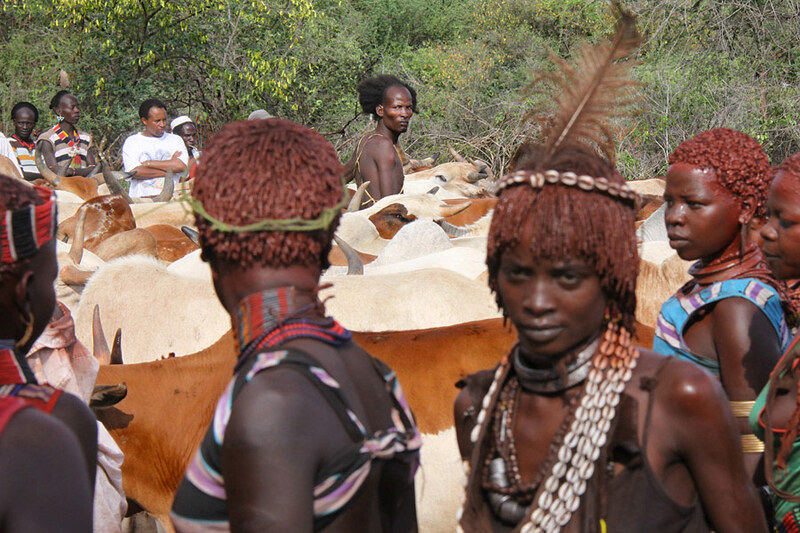 These ceremonies take place after the harvests and they grant the men the rights to marry, own cattle, and have children. 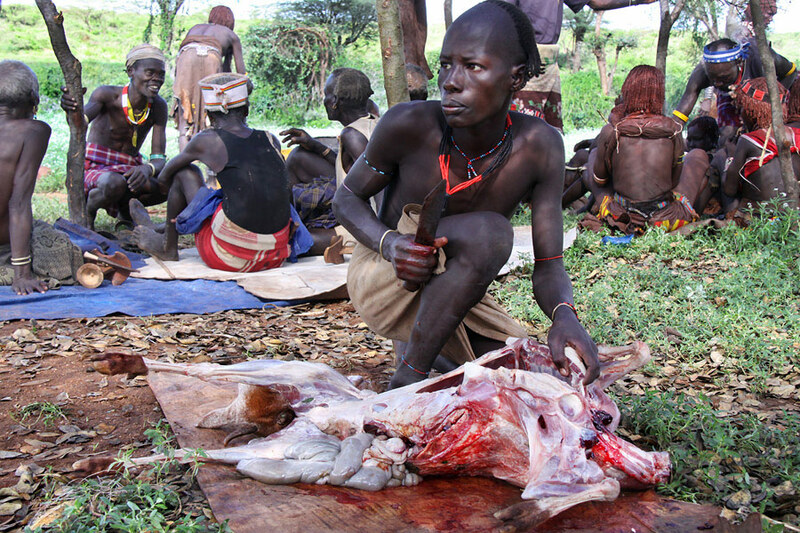 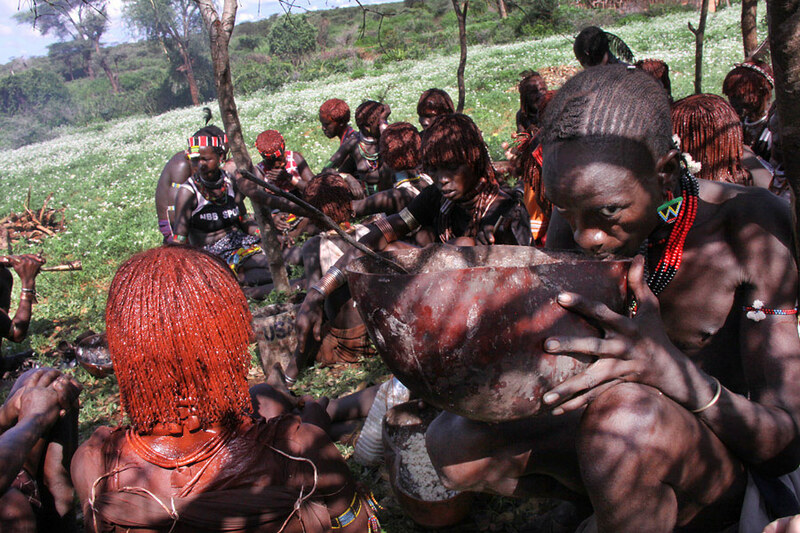 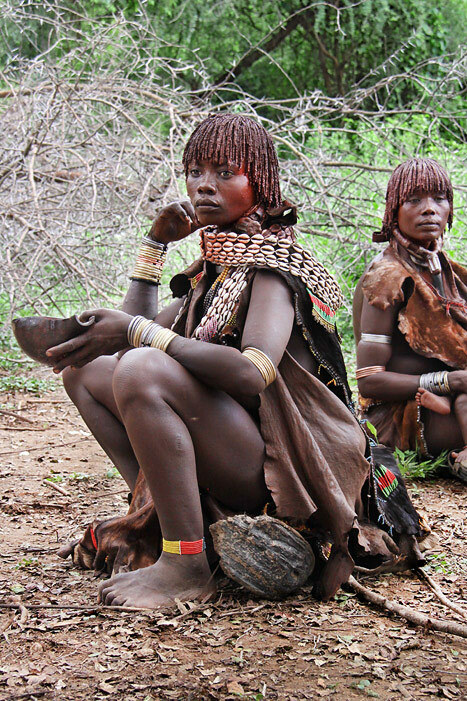 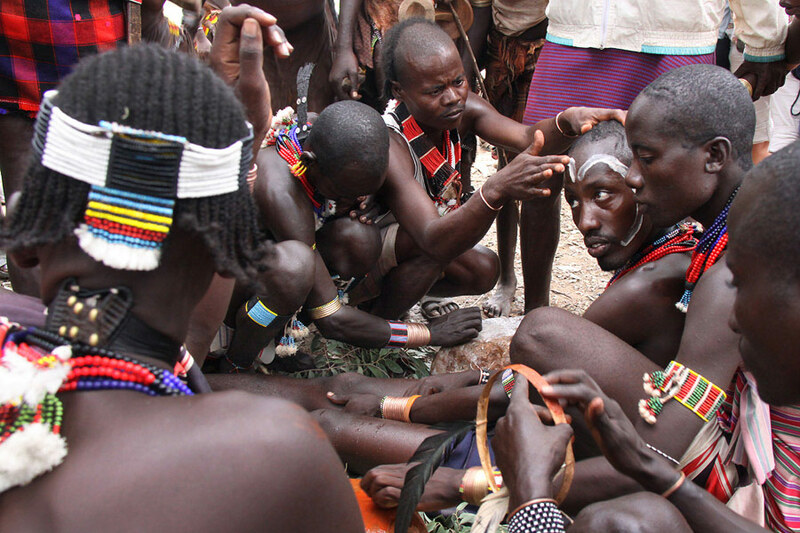 The tribes have then several days of feasting and drinking sorghum beer. 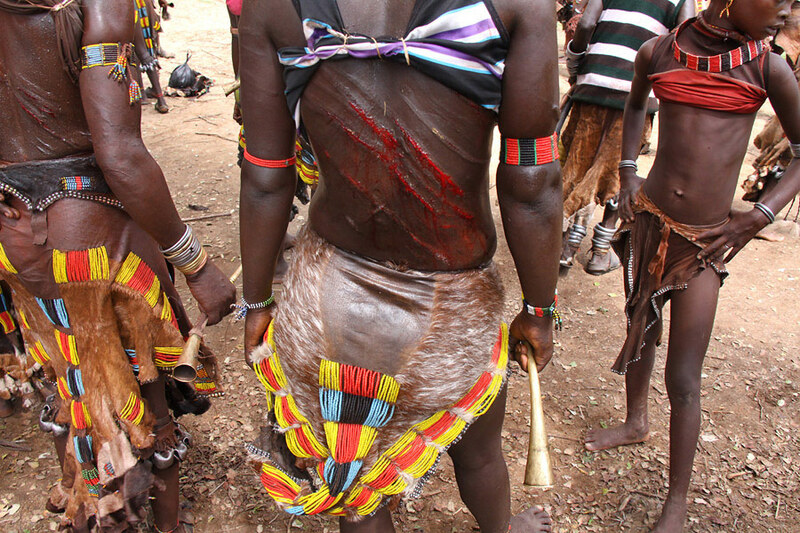 On the afternoon of the leap, the man's female relatives demand to be whipped as part of the ceremony, to prove their love for the men of their clans. 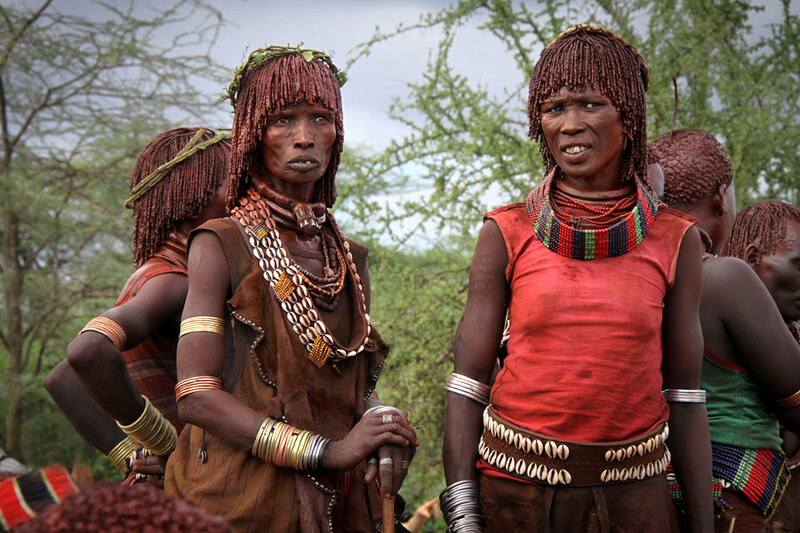 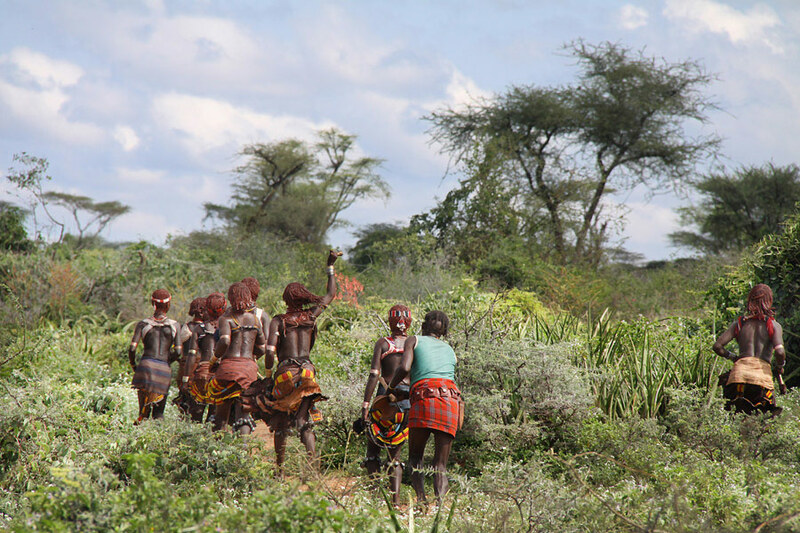 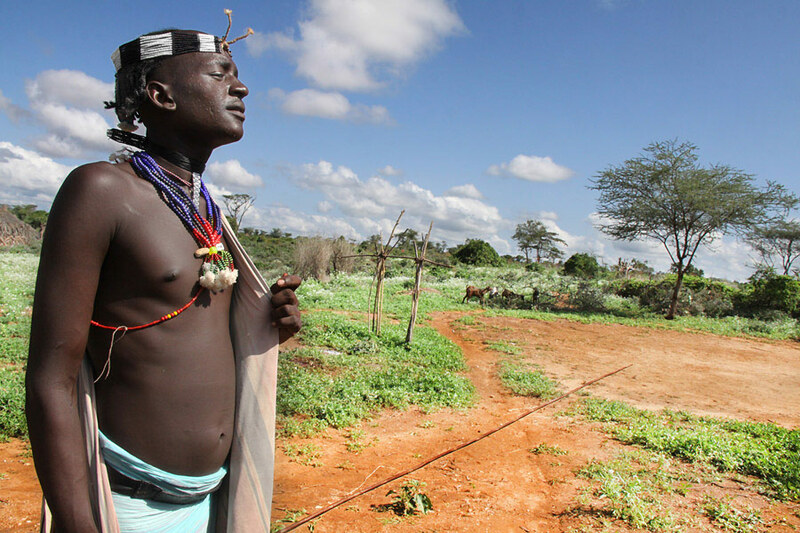 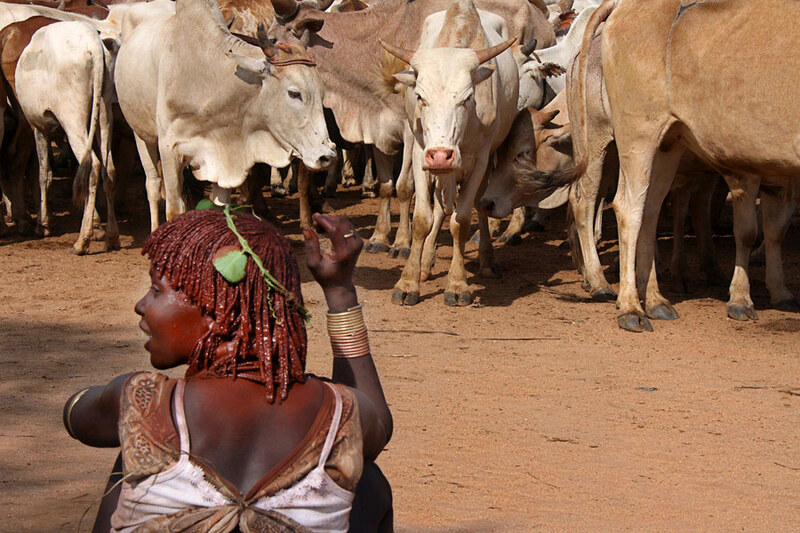 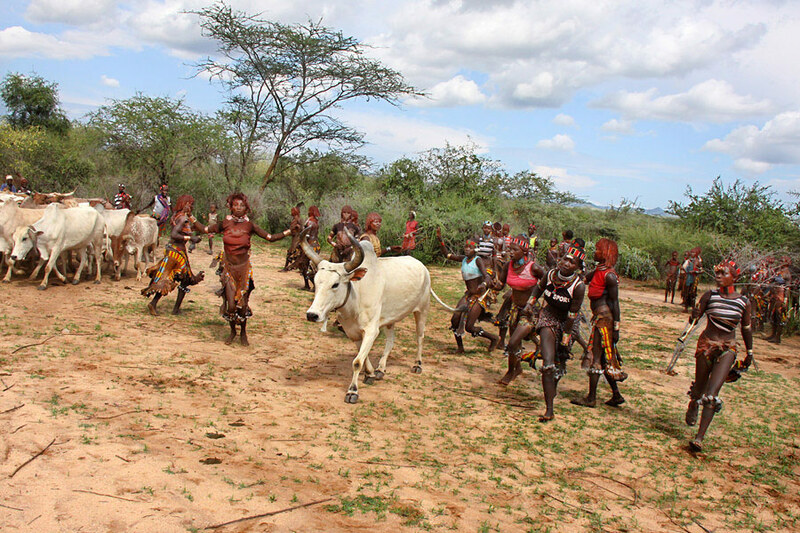 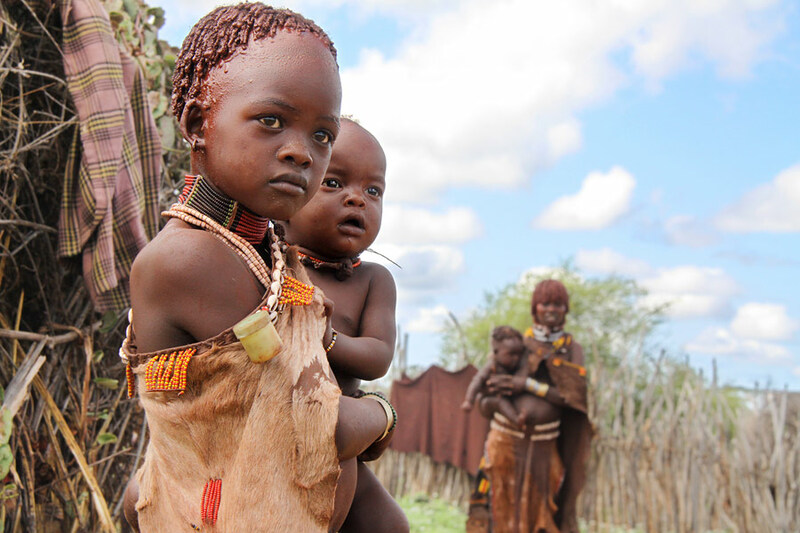 The girls go out to meet the Maza's, the ones who will whip them – a group of men who have already leapt across the cattle, and live apart from the rest of the tribe, moving from ceremony to ceremony.